The N.C. Chronicles. 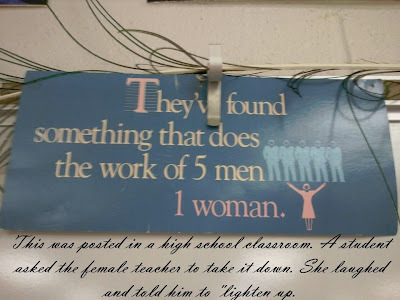 : Imagine for one minute if it was the other way around...the twisted world of the feminist. 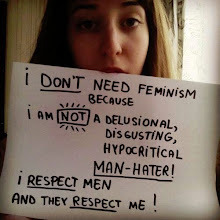 Imagine for one minute if it was the other way around...the twisted world of the feminist. 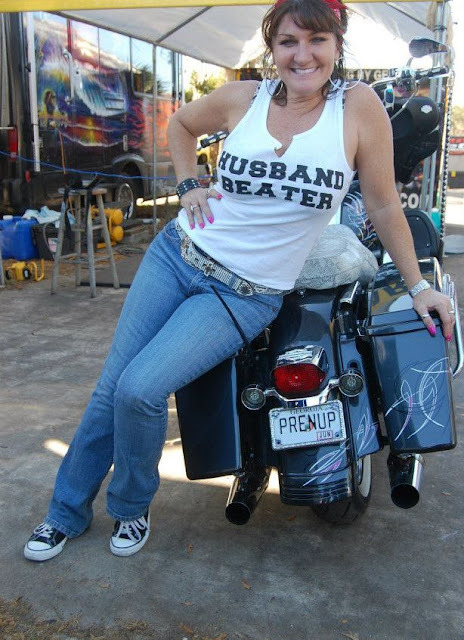 Out of respect, would a man ever and I say "ever" wear a t-shirt that say "wife beater"...simple answer...NO. That said, imagine for one minute what would happen if a man would wear such a shirt, hags, feminist, cat loving lonely old feminazis would be up in arms. So, why is it funny when women such as this one does it???? 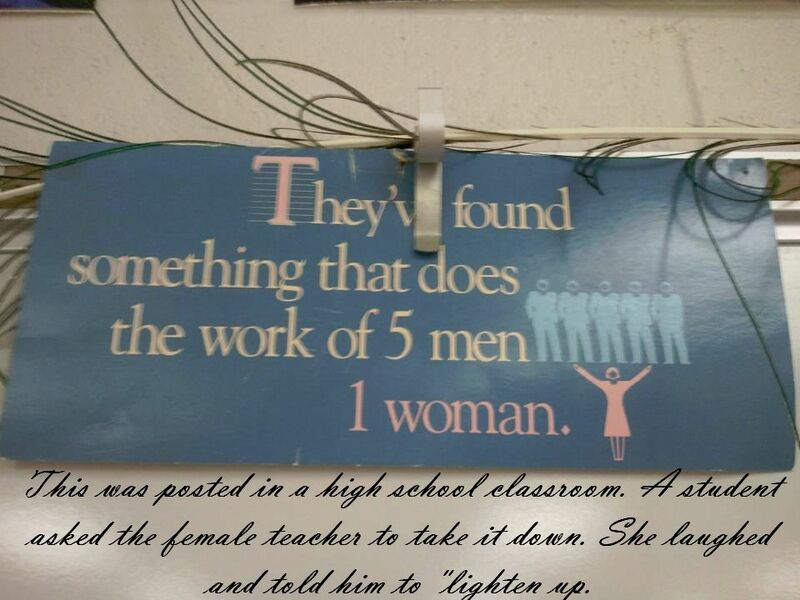 Especially in a classroom, this is meant for one reason only, to demonize the boys. This is the feminist idea of equality???? ?